New York Alimony: Can Men Receive Spousal Support? 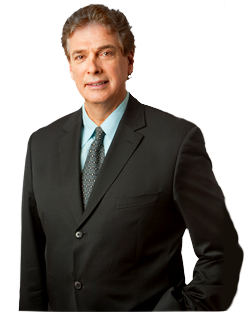 Divorce and Family Law30 years of straightforward, expert legal counsel. Can Men Receive Spousal Support? Because of how rigid gender roles have been in society, and how that has influenced the flow of income between men and women, women traditionally are awarded alimony in most divorces. This seemed to be typical in almost every divorce, so much that it created this popular cultural joke in our country about “women marrying rich men just to divorce them, and get half of their stuff!” However, times have changed and so as the idea of the modern day “bread winner”. Now more than ever, women are the ones in the household who are bringing in the same or more income as their male partners. But has spousal support changed with the times? The answer to this question is no, it hasn’t, but that is because spousal support was never “only for women”. The point behind alimony is that neither spouse should be left with significantly less than the other when the dust has settled. The ideal scenario is that you feel just about even with your ex-spouse when the divorce is settled (at least with what you left with). Therefore, just like in our rigid role scenario, if the wife is making more money during the marriage, the husband can potentially receive alimony. Considering that both spouses could walk away from the marriage with similar expenses, yet very different amounts of income, it is understandable why the court is willing to award alimony to either husband or wife. Another influencing factor that could get former husband spousal support is if he was a stay-at-home dad, and took care of the kids. Stay-at-home mothers are often awarded alimony, and on the same premise; because you did not have a chance to make the same, or any, amount of money, as being a stay-at-home parent is a full time job. The court does not believe a parent should be punished for not having a career in lieu of taking care of the family, and they do consider the value of that when determining who is entitled to what. This entry was posted on Thursday, March 15th, 2018 at 6:00 am and is filed under Spousal Support. Both comments and pings are currently closed. Who Pays for Health Insurance in the Event of a Divorce? Am I Required to Disclose Everything in a Prenup? What Do I Do if I Acquire Assets I Want To Protect After We Get Married?